I got your email about your form and it looks awesome, however there are a few things. 1. Can there be an alternate Captcha perhaps in the near future, that style of Captcha you have, users struggle with and my concern is sales get lost due to users not wanting to fill it out as they struggle to read the code. 2. Can SMTP Authentication be set up on the forms? As my reit. 3. 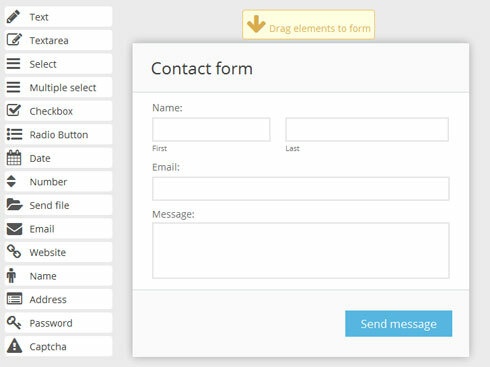 Are the forms stored on the users website or do you host all forms? I download a new software ...and It Ok but just few things. 1. I can't place button one to eachother (left and right) 2. Just taking Formoid for a test drive. Cool idea. And once you get the wrinkles out it should be a good solution. Submit?